Scarning Dale is an impressive guest house with cottages set in 25 acres of garden, woodlands and meadows. A shared, indoor heated swimming pool (customers can use for 1 hour/day), and snooker room enhance the appeal of this secluded holiday base. The area is excellent for walking, bird watching and cycling or why not just relax in the tranquil environment. The Cabin is a single-storey log cabin situated in the grounds and enjoys countryside views from the rear. Just 2.5 miles from the bustling market town of Dereham which has a weekly street market. You are ideally located for touring Norfolk and experiencing the unspoilt North Norfolk Coast or the Norfolk Broads. Shop and pub serving food 2.5 miles. Elec central heating and electric included (extra charge November - March). Bed linen included. Cot. High-chair. DVD. Electric cooker. Microwave. Shared laundry facilities. Portable Barbeque. Parking (2 cars). Shared indoor swimming pool, open 1hr per day (additional hrs on request, at cost). Hot tub (at cost). Shared games room. No smoking please. Natural water supply from borehole. NB: There is an unfenced pond 250 yards from the property. Holidays at The Cabin run from Friday to Friday. For a better idea of where The Cabin is, you can see The Cabin on the map below. The Cabin is in Norfolk; should you be on the lookout for a special offer, you can find all the special offers in Norfolk. It's always worth checking to see what is on offer at the moment. 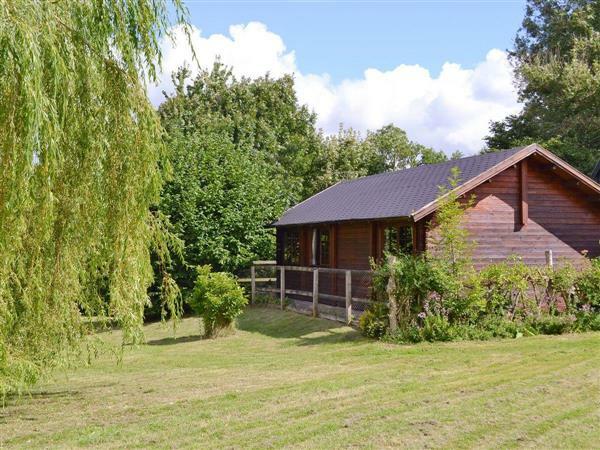 Do you want to holiday near The Cabin (W41269), you can see other cottages within 25 miles of The Cabin; have a look to find your perfect holiday location.